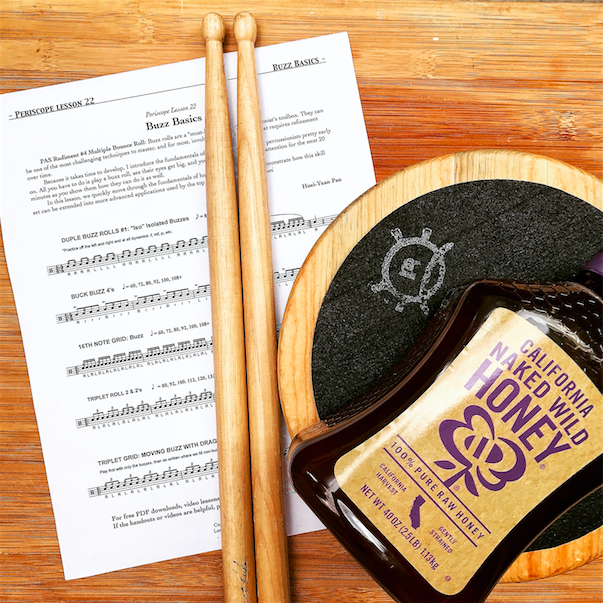 If you play percussion, you need to be able to play a buzz roll! "Buzz rolls are a "must-have" in every percussionist's toolbox. It can be one of the most challenging techniques to master, and for most, it's a lifelong process that we continue to develop and refine over time. In this lesson, we quickly move through the fundamentals of how to play a buzz, and demonstrate how this skill set can be extended into more advanced applications used by the top groups in the worlds." If your buzz roll doesn't happen right away, give it some time. Keep listening to yourself and working on it, I know you'll get it. The benefits of understanding how to manipulate the bounce in the stick are well worth the effort. Hope you have fun with this one, remember to post a picture of yourself working and tag me on your favorite social media platform @hueiyuanpan #SundayswithHuei. Get instant access to the FREE PDF! Success! Now check your email to download your free PDF. I know we all hate SPAM, and promise to keep your email safe. © Copyright 2019 HP Music. All rights reserved.